You can use Thunkable without downloading any software on your computer! App development is done on our website: Thunkable. If you want to see your changes live on your Android device as you are building, just install the Thunkable app on your Android phone or tablet. Then connect your Thunkable project on the web to the Thunkable app on your device, and test your apps as you build them. If you don&apos;t have Wi-Fi, you can also see your changes live by connecting your computer and Android device by USB. Step 1: Download and install the Thunkable app on your phone. Open your device&apos;s QR code scanner and scan the QR code below to download the Thunkable app from the Play Store. After downloading, step though the the instructions to install the Thunkable app on your device. You need to install the Thunkable app only once, and then leave it on your phone or tablet for whenever you use Thunkable. 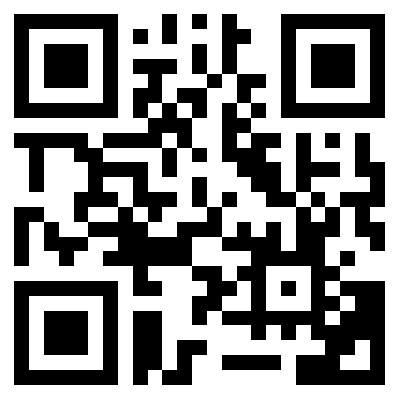 Note: If you are unable to use the QR code, you can still install Thunkable on your phone or tablet. Use the Web browser on your device to go to the Google Play Store; look for Thunkable in the store. Once you find Thunkable, click the INSTALL button to download the app. The Thunkable Android app will automatically show you the app you are building, but only if your computer (running Thunkable) and your Android device (running the Thunkable app) are connected to the same WiFi Network. Go to Thunkable and open a project (or create a new one -- use Apps > Create New App and give your project a name). 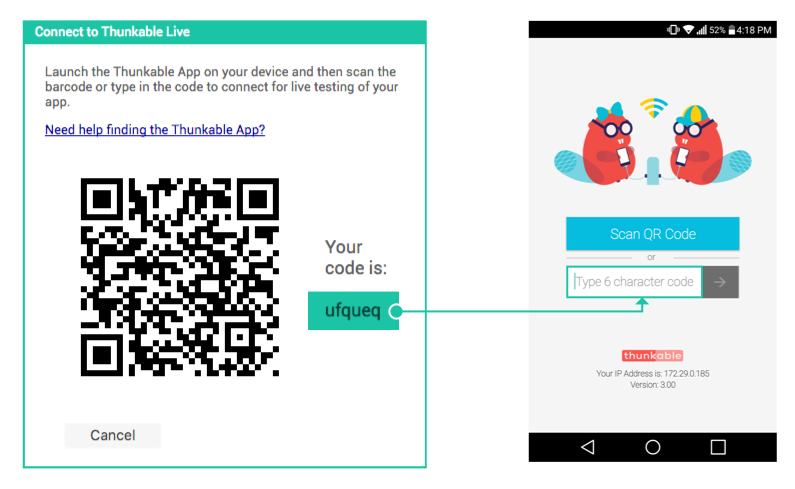 If you have trouble scanning the QR code or your device does not have a scanner, type the code shown on the computer into the Thunkable app&apos;s text area on your Android device exactly as shown. The code is directly below where the screen on your PC shows "Your code is" and consists of six characters. Type the six characters and choose the orange "Connect with code". Do not type an Enter or carriage return: type just the six characters followed by pressing the orange button. You may have an outdated version of the Thunkable app. Download the latest Thunkable live development app for Thunkable from above. Your device may not be connected to wifi. Make sure you see an IP address at the bottom of the Thunkable App screen on your phone or tablet. Try using a different browser. If you are on Chrome, you can also try opening Thunkable in cognito. To learn more about how connecting over wifi works, check out our documentation on the wifi connection. If you are still having trouble, don&apos;t hesitate to Contact Us.